Are Apples Good for Relieving the Discomfort of Acid Reflux? Ambrosia Apples are not only honey-sweet and juicy, but they are also thin-skinned and low in acid – in fact they are the ideal snack for the sensitive digestive systems of children and older adults. Many people have experienced digestive issues like acid reflux in their lifetimes. It’s commonly described as a burning sensation in the chest, often right after eating a big or spicy meal. However, it can also include symptoms like nausea, bloating, heart palpitations or a sour taste in the mouth. Did you know that a third of the population deals with acid reflux at least once a year? If episodes are more persistent, then it might actually be Gastroesophageal Reflux Disease (GERD), sometimes referred to as Acid Reflux Disease. Left unchecked, this can lead to serious health issues and negatively impact enjoyment of life. It’s important to seek medical help in this instance. GERD can be treated with medication but more and more doctors are also recommending a dietary adjustment. The good news is that at least one adjustment is a tasty one! Here are few ways that eating Ambrosia apples may help acid reflux. Overeating is one of the most common triggers of acid reflux. Health.com says: “A very full stomach can cause the valve between your stomach and esophagus (known as the lower esophageal sphincter, or LES) to relax, pushing stomach acids back up into the esophagus.” To help avoid this, they recommend eating smaller meals more frequently. Ambrosia apples can play an important role in your success with this strategy because they are a high fibre, relatively-low calorie snack that will help you feel full without filling you up. Even eating an Ambrosia before a meal will decrease the amount you eat! It might seem pretty logical that if acid reflux is exacerbated by highly acidic foods then reducing acidic foods in your diet should help. Dr. Jonathan Aviv MD, FACS-ENT wrote a diet book on how to do this and also created a website on the topic (Acid Watcher). His belief is that by following a low-acid, high-fibre nutrient-rich diet, those who suffer from acid reflux can see significant relief. Ambrosia apples fit nicely into this diet because they are naturally low in acid and high in fibre. Eating apples triggers a few other things that may facilitate your stomach doing its job. 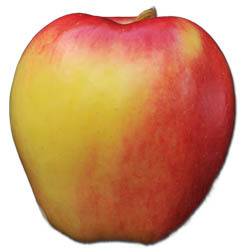 Ambrosia apples have a higher pH than sour apples. It’s thought that this may help alkalize stomach acid, which in turn would soothe or stem acid reflux. In addition, chewing crunchy apples (like Ambrosia) stimulates saliva production which also helps digestion. According to a large 2003 study published in the International Journal of Epidemology, there is a strong link between GERD and BMI (body mass index). The study found that overweight people were significantly more likely to suffer from acid reflux and heartburn than those with a normal weight. This research resulted in weight loss being prescribed as a treatment and preventative measure for anyone suffering from acid reflux. As we’ve written before, Ambrosia apples can play an effective (and delicious) role in weight management. Whether you suffer from acid reflux or not, these are all great reasons to eat more Ambrosia apples.